An honest unabridged admittance about my number one obsession: Words. I love the way they flow from my pen. 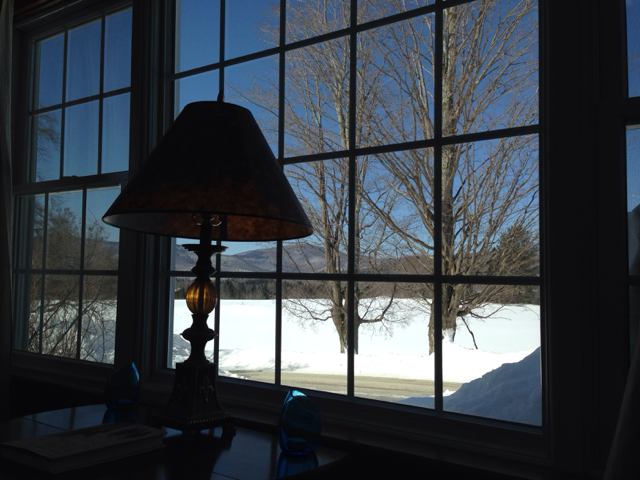 Last week, I had the pleasure of escaping reality and hiding away at the When Words Count Retreat in Rochester, Vermont. For an entire week I stopped answering emails, texts, and phone calls. I minimized my social media interactions and focused wholly on my novel. You know, the one that I have been struggling to kick off for about a year now. What I love about When Words Count was that from the moment I stepped inside the door, the spirit of famous authors surrounded me. Various pictures of authors and book covers decorate the retreat’s walls and enhance the old farmhouse charm. It is a bibliophile’s (and writer’s) heaven. Each room within the retreat is themed after an American author. I had the pleasure of staying in the Flannery O’Connor room, where each night I fell asleep under a gorgeous portrait of one of the most prolific short story author that has ever existed. Before the sweet embrace of REM overtook my slumber, I said a short sweet prayer to Ms. O’Connor to influence my dreams and guide my writing hand. She must have heard me because on my first full day, I could not think of anything BUT writing. I spent the entire day handwriting an outline for my novel. Outlining, if you read my last post, is one thing I never do. I finally felt like I had direction for my story. Unfortunately, later that night, I found I was going in the wrong direction. One of the perks of staying at the When Words Count Retreat is the hash session that occurs in the evenings after dinner. The hash session is lead by two industry experts, Steven C. Eisner and Jon Reisfeld, and involves all of the writers who are staying in the house. That night, I explained that my novel is being based off a short story I wrote last March. However, not being satisfied with the short story, I wanted to expand it to novel length. The outline that I had worked on earlier in the day was the expansion of the original short story. During the hash session, I read out loud the short story. While reading, I realized the front half of the tale had so much back-story that it took forever to get to the gruesome action. I was actually getting bored reading the tale out loud. My hosts echoed my thoughts. When I explained the progress made that day, they made some suggestion where I would need to revise my outline to make the story more engaging. I went to bed a little frustrated in myself. I live for horror and it is that thrill that keeps me on edge. That is what draws me to the genre. How could I have “missed” that in my story and novel outline? The next morning I woke refreshed and went to rewriting my entire outline – from scratch. Another day spent handwriting; another hash session later that evening was spent discussing where tension and character development was needed. On, Tuesday (Day 4) and Wednesday (Day 5), I continued to outline and received additional input and praise from my coaches. They, as well as the other writers, seemed to enjoy where the story line was now heading. By Thursday morning (Day 6), I had my entire novel outlined (by hand) and it equaled about 90 pages. I, quite frankly, have my entire novel scripted out in short hand. That afternoon, I locked myself in my room and had a little cry – of happiness. I was in awe that I outlined (in excruciating detail) an entire novel in only four days. I had travel almost 350 miles away from my home and closed myself off from LIFE to get my novel to finally pour out of my head. In all honestly, there is no way I could have executed this at home within this timeframe amid my regular life “schedule”. This visit to the When Words Count Retreat has been the most inspirational and enlightening “vacations” that I have ever experienced. The atmosphere just gives bloom to creativity. It is pure magic from the moment you step foot through the door. Being there during the winter was also a great benefit to the prosperity of writing. 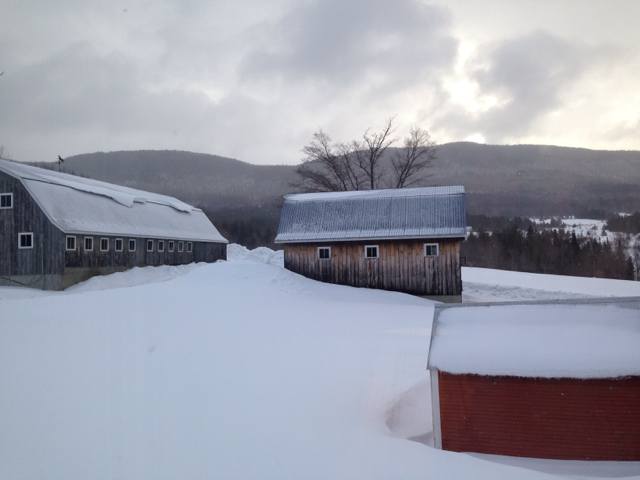 There was about 3 feet of unmarred snow that covered the retreat’s acreage. The cold kept me from venturing outdoors. Had it been warmer weather, my writing outcome may be a little different. The area is prime for hiking and apparently there is an old graveyard nearby, which would make an excellent outdoor writing location. 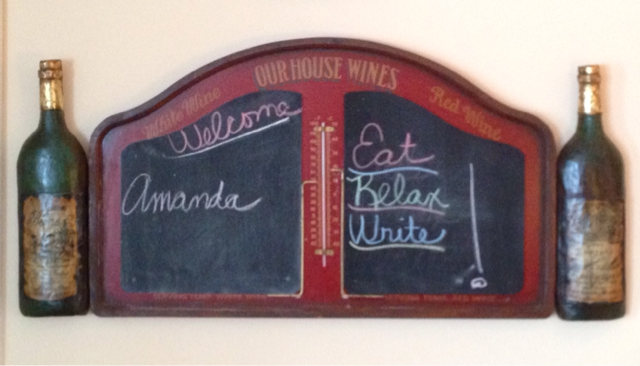 Retreats are a fantastic way to build your fellow author network. I made three new writer friends who are all involved in different genres of writing. They breathed new inspirations into my novel as we discussed our current projects. I cannot wait to see where their work takes them. I know they are going to be just amazing. And the food… Oh my God, the food, it was phenomenal. Words cannot even begin to describe the culinary experience that the When Words Count Retreat has to offer. Chef Paul is by far the best chef whose food I have had the pleasure of eating. To all the writers out there reading this blog, make yourself take a retreat this year. Retreats can span from a weekend getaway to a two-week stay. It is a great way to escape daily life and focus solely on your writing. Take advantage of the option to have a session with a writing coach. Another writer’s perspective is always helpful. And if you are at a retreat with other writers, make new friends and get to know their stories. It is a rewarding experience. You’ll never know what they have to teach you or what ideas they can stir up in your vast imagination. I am obviously very partial to When Words Count Retreat, and plan on making at least a yearly excursion to Vermont. For more information on the When Words Count Retreat, click here for the website. Also, be sure to like them on Facebook as they hold several sweepstakes throughout the year. A fantastic 2014 TED conference audio clip where Neil Gaiman speaks of how ghost stories greatly benefit our lives. Click here to be directed to the GalleyCat website to listen to the Neil Gaiman clip. It is my personal belief that stories of the weird and ghastly have been around since the beginning of time and will continue long since we pass. It is the true soul of a ghost story that keeps our hearts beating on the edge. Biologist, each every research paper that I wrote had to have scientific outline. Each outline followed the same mundane rules of proper format, proper heading, and et cetera. In the classes where the professor never checked the outline before the paper was handed in, the outline would be written after my research paper was complete so as to use the final paper as the defining guide. For the classes where the outline was mandatory to hand before the paper was due, I would find myself in a place of pure and utter hell where I would languish long nights away with my head in my hands sobbing about how to structure some asinine outline. Outlines annoyed me. I found them tedious and mundane. As a professional in Quality Assurance and Regulatory Control, you would think I would revel in the worlds of organized outlines… but you are dead wrong. I found them completely pointless and detractors from the completion of the finished product. I never saw the benefit of them. So when I turned to creative writing, I nixed them. Outlining was one and only “brainstorming” tool that I never utilized with short story writing. I brainstormed by drawing diagrams, write down a couple notes, and then start banging at the keys, allowing the story just to flow on the paper. The days of outlining were dead, and since graduating college I never wrote another one… until last night. 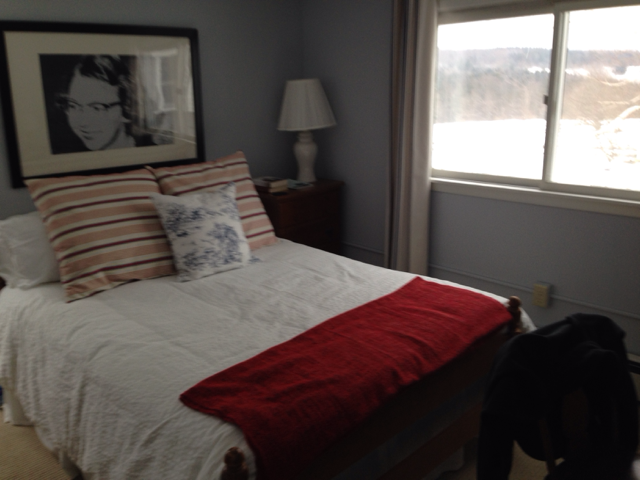 As a birthday gift, I treated myself to a writing retreat to help get me on track with my novel. One of the perks of this retreat is to have a constructive critique from two well-established writers, Steven C. Eisner and Jon Reisfeld, who are the proprietors of the When Words Count Retreat. One large take away that I received from them, after they critiqued the short story that I am trying to adapt to novel length, is that they both agreed that I needed to first outline the novel. The outline didn’t have to be the typical, dreary scientific format. It only has to be what I needed to get my story into the right flow. In other words, keep it in check. With a novel, I am finding that it is extremely difficult to get by writing a structured story without an outline. You need an outline everything on track; characters, plot, settings, the little minute details. I attempted to write my first novel without an outline and it became so scattered that I threw my first draft in the trash (shredded first, of course). After the critique last night, I stayed up until 4 am this morning outlining the first few chapters. Today, I spent another seven hours on the outline. I am about a quarter of the way through at this point. I know that seems a bit excessive – time wise – but I have found my style of outline to say, “Ok, here is chapter 1. It will have this happen with these details and then this will happen with these details…” and so on. Several writer friends have commented that it seems like I plot out my novel in short form before I plug in the details of the setting, characters, and plot. In a way I do. However, I like to think of it as more of a checklist. I can’t move on to the next point until I covered what is in the current point. As this is my first true, non-academic outline along with my first novel, I am hoping that this scheme works out. So far I think it will. My novel has already taken some sharp turns that I had not event planned out. Turns that I wasn’t even thinking about last night as I was plotting it out into the wee hours of this morning. Some terrifying turns that, as of this moment, has me wide awake where I will most likely be sleeping with the lights on in my room. Now, I would like to know how many of you, my readers, outline your works before you begin drafting? And what is your style? Do you follow a systematized method or the free-for-all approach? I personally don’t believe there is a right or wrong answer here. It is all in what works for you. Be sure to check in next week, as I will be discussing the benefits of writing retreats. In today’s world of writing, it is hard to find the untold story. In fact most stories have been told and told again and retold to the hundredth power. There are many who claim that there are no more original stories in horror; that horror writers are just copying existing stories and putting a new twist on the original tale. This is not something that I wholly agree with. In today’s realm of horror, we just barely scratched the surface of the macabre. The imagination of human cognition is limitless and all it takes is some pure (or dark) thought to breathe life into a new unwritten story. While I believe coming up with an untold theme in the realm of horror and dark fiction is becoming difficult as we fall into the trap of being brainwashed by the same story being told over and over again, it is not completely impossible to forge upon new ground. One of the best guides that I can possibly give to avoid falling into the already-used-theme trap is to avoid clichés. Stop selling that haunted house for so cheap. Don’t allow your “heroine” be a complete damsel-in-distress where she unceremoniously always stumbles across the murderer. Quit making your undead have the same old unrelenting cravings for human flesh or blood. Shake the horror genre up a bit and break out of the mold. Don’t recycle those canned clichés. Be yourself. That is the only true and honest answer that I have uncovered in trying to write that unique tale of terror. With my writing, I escape into myself, teasing the strings of my imagination until something so horrific conjures up that I cannot sleep at night. The terror is all I can think about and all I can write about. It is unique in its own way because it was birthed from my mind without the influence of other stories or authors. I tune out every piece of literature or film that I have interacted within my past, push clichés to the side, and focus on MY monster that has been born. The unique story lies within your mind. There is only one Stephen King, one Joyce Carol Oates, one H.P. Lovecraft. They have their voice; you must have your voice and not be like them. Make your story yours, and from there it will be unique because it will be in YOUR voice with your imaginative touch. Write what scares the hell out of you and make it your own personal story. As a writing exercise, come up with three story themes that have never been written before (make sure to do a little research on this as well). If you would like to share your unique themes of terror, write them in the Comments section for this post.